Angling is a method of fishing done with the help of a fish hook (angle). It is a principal method of sport fishing. The ‘Northeast Angling and Rhino Tour’ has been designed to acquaint you with this sport and let you enjoy fishing in the North East India. The 13 day journey will cover Guwahati, Nameri, Kaziranga, Dibrugarh, Boleng and Yambum. Upon arrival in Guwahati, meet our tour representative who’ll assist you in smooth transfer to the hotel. The rest of the day is free for individual tours. In the evening, set off for a river cruise to watch the sunset and get to know why this place is known as ‘color of blood’. Stay overnight at the hotel in Guwahati. In the morning, drive towards Eco Camp owned and managed by Anglers Association of Assam inside the Nameri National Park. On arrival, have lunch and raft till Bhoroli River. Stay overnight at Eco Camp. In the morning, set off for elephant ride in the Kaziranga National Park. Later, return to the camp for breakfast and thereafter proceed to the Angling site. Enjoy picnic lunch at the Angling site followed by rafting on the river water. By evening, return to the camp for overnight stay. Post an early morning breakfast, leave by road for Bhalukpung followed by visit to Orchidarrium at Tipi. A botanical paradise in a true sense, Orchidarrium has a collection of 7,500 orchids. Return to the camp for lunch and proceed towards the Angling site. Return to the camp for overnight stay. Early morning, drive towards Kaziranga (158 kilometers). Upon arrival, check in at the hotel to relax. In the afternoon, meet the natives of the local village. 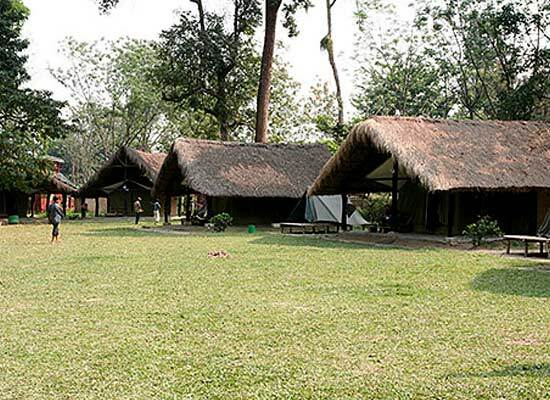 Stay overnight at Kaziranga. 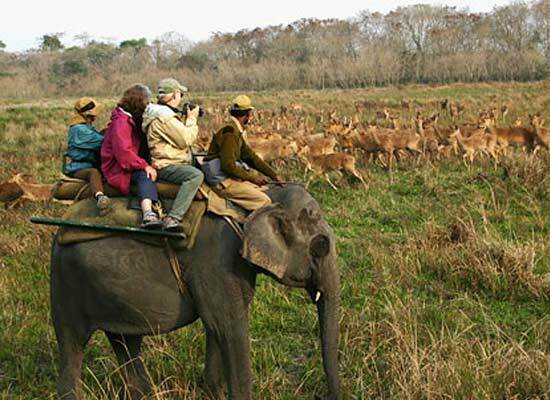 Early morning, set off for an elephant safari in the central area of Kaziranga National Park. Try your luck for spotting One-horned rhinoceros. Post lunch, go for another jeep safari in the central area of this national park. The rest of the day is free for individual activities. Stay overnight at Kaziranga. Post breakfast in the morning, leave by road for Dibrugarh from Kaziranga. Check in at the century old host bungalow inside the Tea Garden. 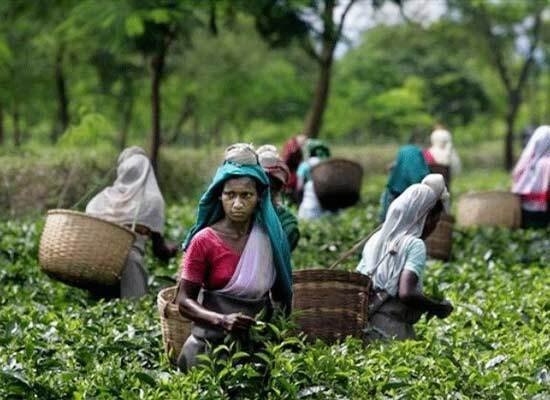 Post refreshment, explore the lifestyle of tribal people in the tea estate. In the evening, witness the dusk taking over the evening site from the open verandah. Stay overnight at the bungalow in Dibrugarh. 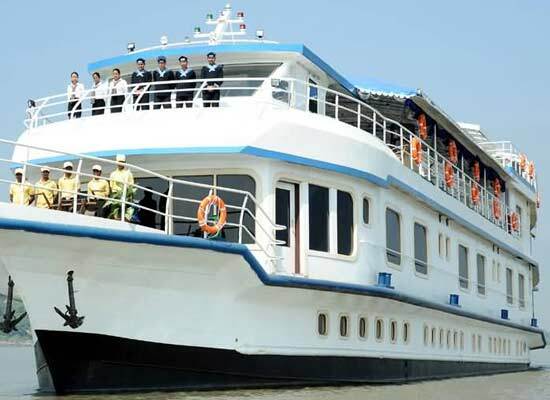 Today, board the ferry to cross the river Brahmaputra and travel till Pasighat. Post lunch at Pasighat, drive towards Boleng. Stay overnight at tent at the angling site. Post an early morning breakfast, set out for a full day angling trip at Boleng. Enjoy picnic lunch at the site. Return back to the camp for night stay. Early morning, hit the road to Pangin (20 kilometers) for some angling. Drive back to the camp for night stay. Early morning, leave by road for Yambum, another famous angling site. While the day is free fro angling , evening is scheduled with a visit to the local tribal village for some cultural feast. Stay overnight at Inspection Bunglow in Yambum. Post a leisurely breakfast, drive towards Dibrugarh (200 kilometers). On arrival, check in at the Bunglow followed by a visit to the Tea Gardens. Spend your day at leisure followed by departure.